Inception! Terrific movie, but those dream layers got pretty darned confusing. Even, apparently, for the movie's director. 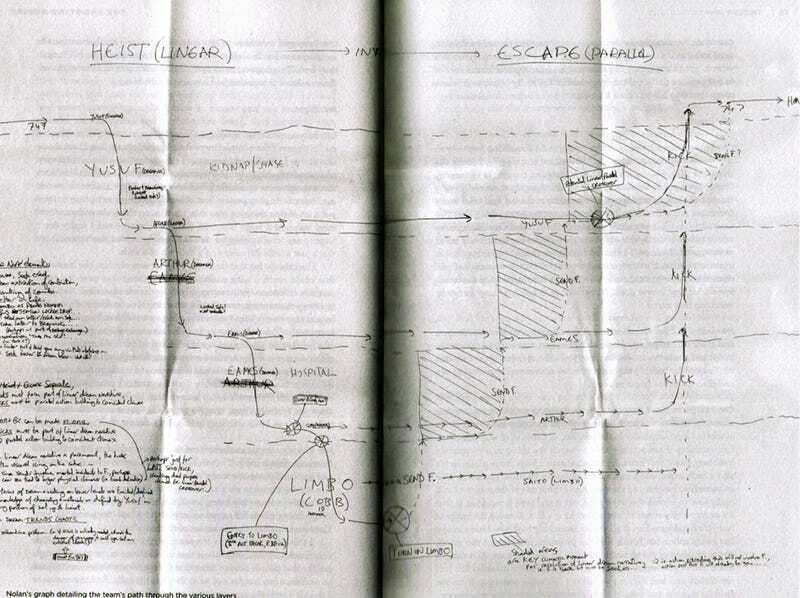 Which is why Christopher Nolan made himself this little map to keep things straight. Spoilers, obviously. The map comes from the book Inception: The Shooting Script, and while it may not have the kooky appeal of watching all the layers unfold in real time, it's a definitive tour guide to the movie's dream worlds. Want to understand Inception? Read the screenplay!